Jaxx.com offers e-wallet solutions for crypto currencies and it was developed by Decentral Inc., a company based I Canada. Unlike other electronic wallets, Jaxx’s main feature is the ability to store more than a dozen crypto currencies. They have also developed software even for desktop use, in order to ensure a stronger security and avoid the web browser weak points. The Jaxx wallet can store the following crypto currencies: bitcoin, ethereum, Dash, Ethereum classic, DAO, Litecoin and REP. Jaxx is a relatively new crypto currency wallet, but has an ambitious plan to serve as a platform for the masses, with a user friendly interface and an integration of the most important crypto currencies. The Jaxx software can be downloaded via their website, jaxx.io and you can find there links to the mobile apps for Android and iOS + download link for the Desktop version of the app and also a Chrome extension. 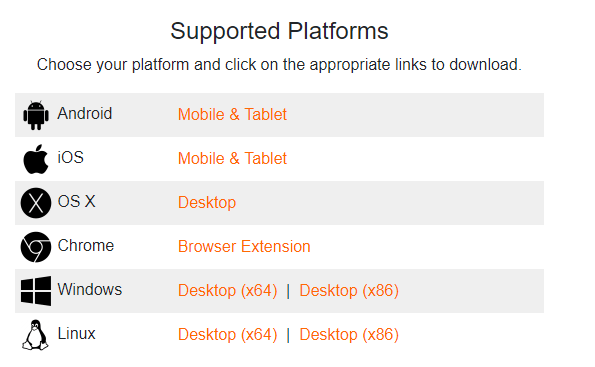 Jaxx stands out in terms of platforms supported and the software can work on any type of operating system, a feature not see at all the other wallet providers. Other features of the Jaxx wallet are as follows: – Multi crypto currency support, Cross-platform pairing and ShapeShift – an exchange that supports dozens of digital coins. Like any other wallet, Jaxx applies transaction fees, which are directed to the networks that run the crypto currencies you are trading. A standard Ethereum transaction is charged with .000441 ETH and bitcoin + the other crypto currencies transactions have a similar fee. The Jaxx wallet is open source and is the ideal choice for beginners who want to try crypto currencies for the first time. The wallet has support for a wide variety of digital currencies and it is very accessible, since the company developed software for all categories of operating systems. In terms of the negative aspects, there had been some press information about security in the last few months and also, the wallet does not have a 2 layers of authentication. Jaxx.com manages to provide a reliable crypto currency wallet, offering support for a wide variety of currencies and software for all types of operating systems. Their platform has a lot of features aimed to satisfy clients’ needs. Summary: Jaxx.com offers e-wallet solutions for crypto currencies and it was developed by Decentral Inc., a company based I Canada. Unlike other electronic wallets, Jaxx’s main feature is the ability to store more than a dozen crypto currencies. They have also developed software even for desktop use, in order to ensure a stronger security and avoid the web browser weak points.